There’s nothing we love more than celebrating local artisans, makers, designers and all-around creative peeps who dedicate their time and talents to creating beautiful and unique things, which is why we cannot wait for the One of a Kind Show! Expect over 450 booths filled with handmade jewellery, edible goodies, paintings and illustrations, leather works and and SO MUCH MORE! 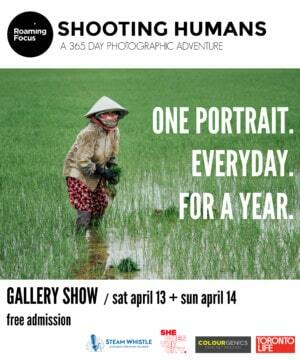 The One of a Kind Spring Show runs from March 23rd to 27th at the Enercare Centre, Exhibition Place. Gourmet freezies ($16 for 6) by Kari Marshall of The Pop Stand. 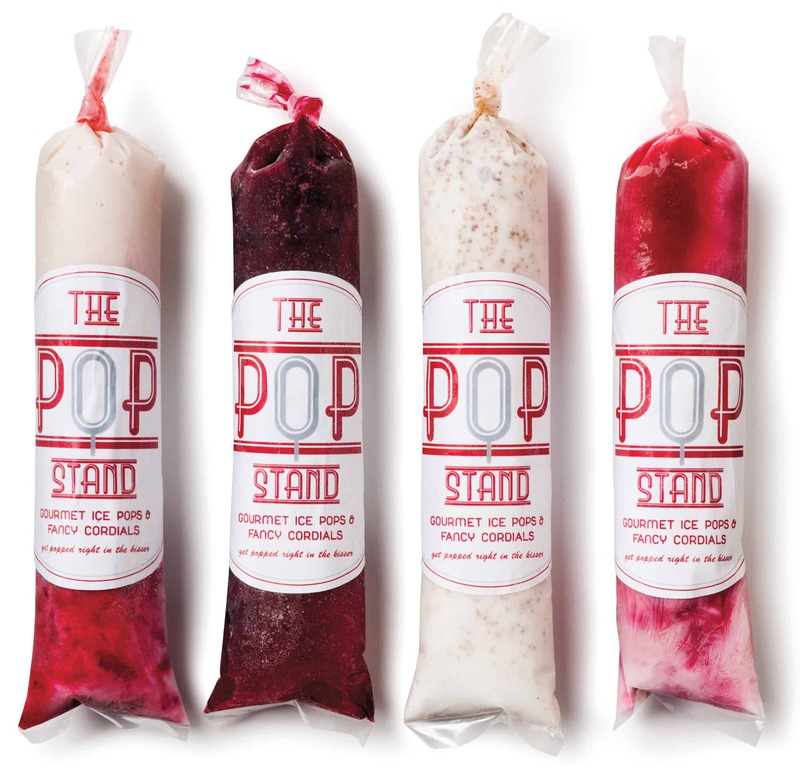 FUN FACT: You can join the Pop of the Month club to get all natural, gourmet ice pops delivered to your front door every month. Talk about livin’ the dream! 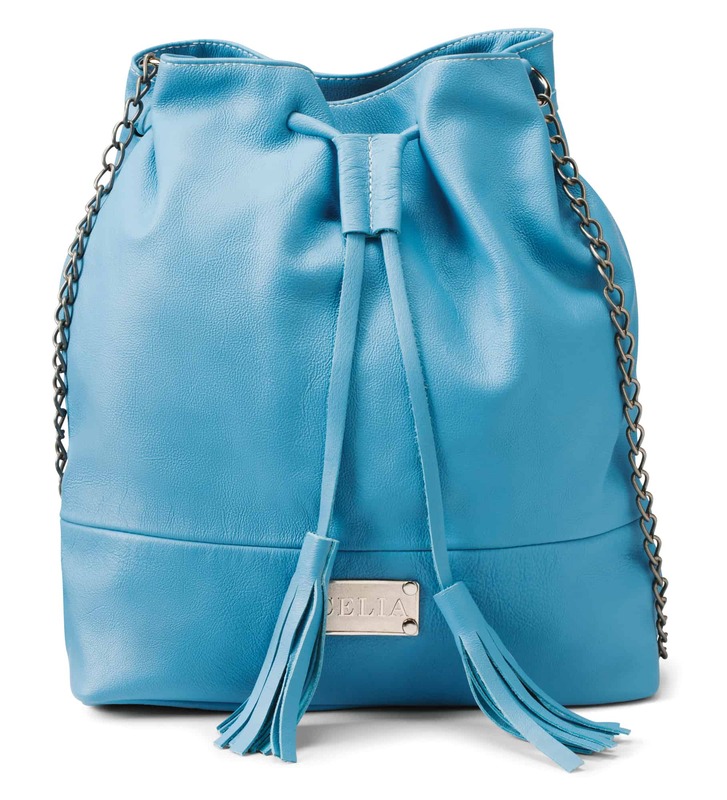 Medium cornflower blue leather drawstring bucket purse by Lia Walker of CeliaMMXIV. For more delicious handmade leather purses and accessories be sure to check out Lia’s Etsy shop! 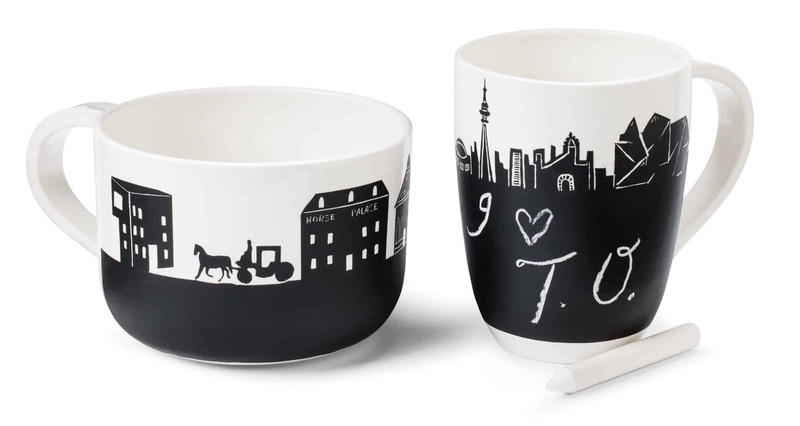 TO and MTL skyline mugs by Aurélia Turon-Lagot. Visit her Etsy shop, Alice in Montreal, for PAGES of whimsical mugs adorned with animal heads, ballerinas and more. We’re obsessed! Organic cotton tank top by Susan McGregor. 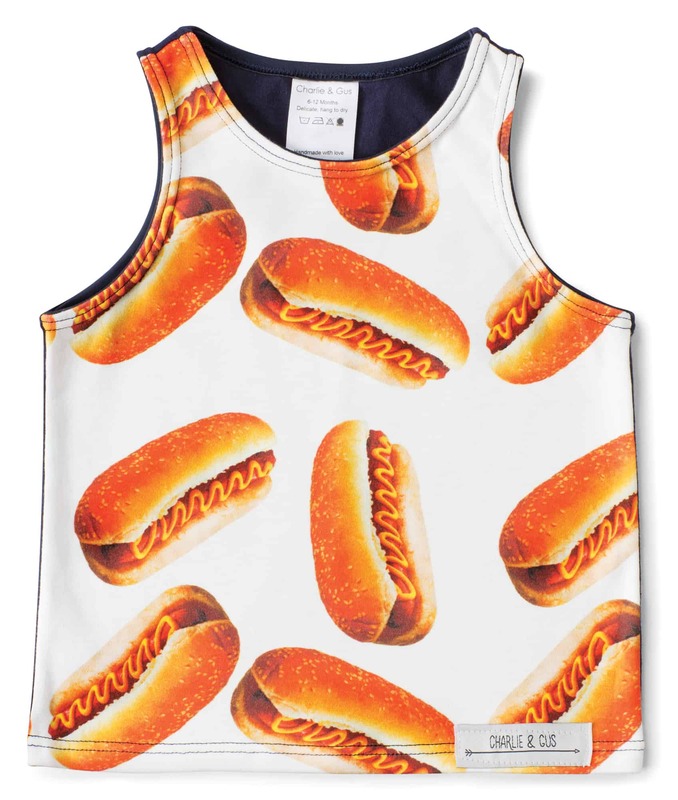 Quick, find the baby closest to you and buy him/her this tank! From harem pants with rhino heads to bow ties and pretzel tanks, Charlie & Gus make the COOLEST gender neutral baby clothes we’ve ever seen. While you’re at it, be sure to take a look at their Insta. SO CUTE! 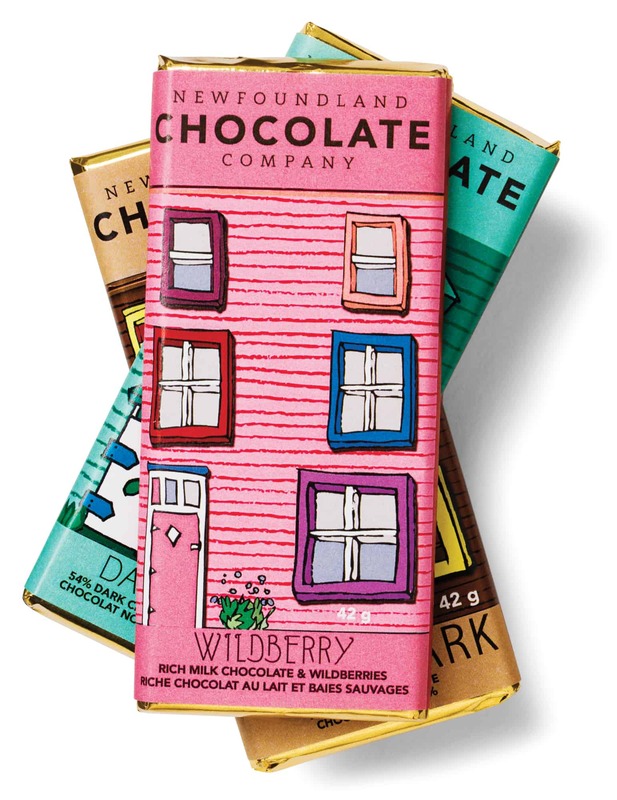 Row house chocolate bars by Christina Dove and Brent Smith. Between the darling packaging and sweet flavours (blueberry, wildberry, hazelnut, OH MY) we can’t wait to get our paws on these at the OOAK! 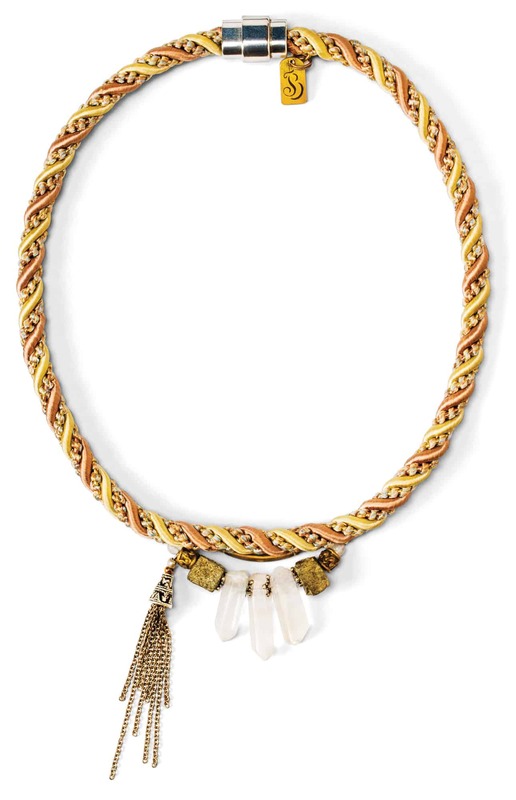 Necklace by Montreal designer Julie Bessette. Inspired by the intention to stay in communication with nature and harness personal power, Julie uses everything from semi-precious stones to fossilized shells, leather and fur in her work. Take a look! 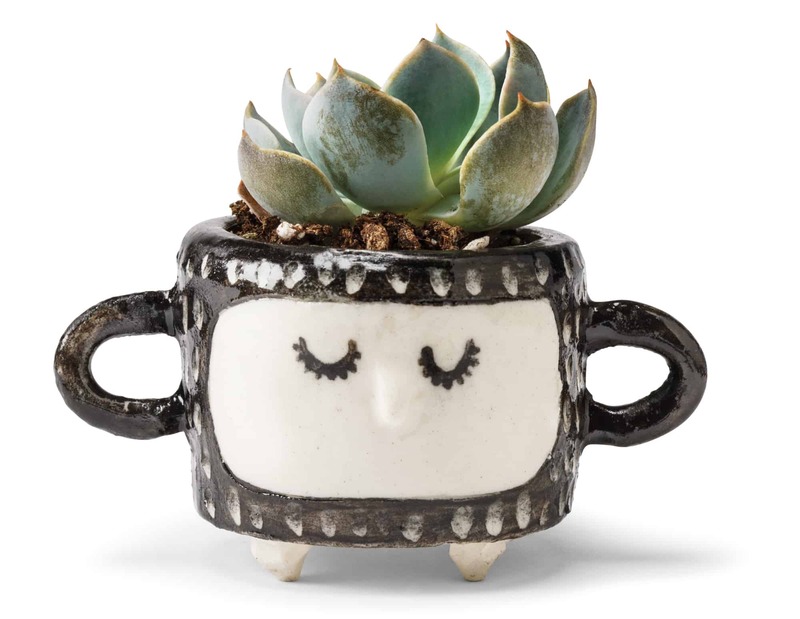 Mini ceramic planter by Janet Hinkle. If you’re unfamiliar with the Hinkleville brand, you need to check out Janet’s Etsy shop immediately. So many little treasures to be found! 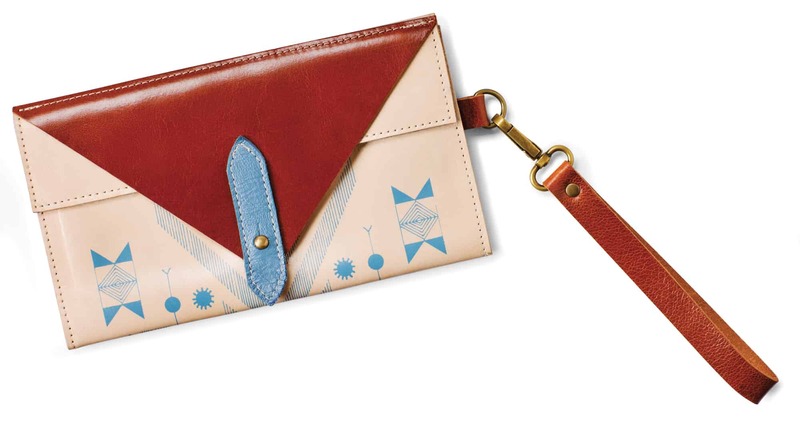 Leather wallet by Catherine Cournoyer and Jinny Lévesque. Noujica is a collaboration between printed textile artist Catherine and glass artist Jinny who integrate screen printing, glass work, drawing and sewing into their super unique line of clothing and accessories. See more of their designs here! 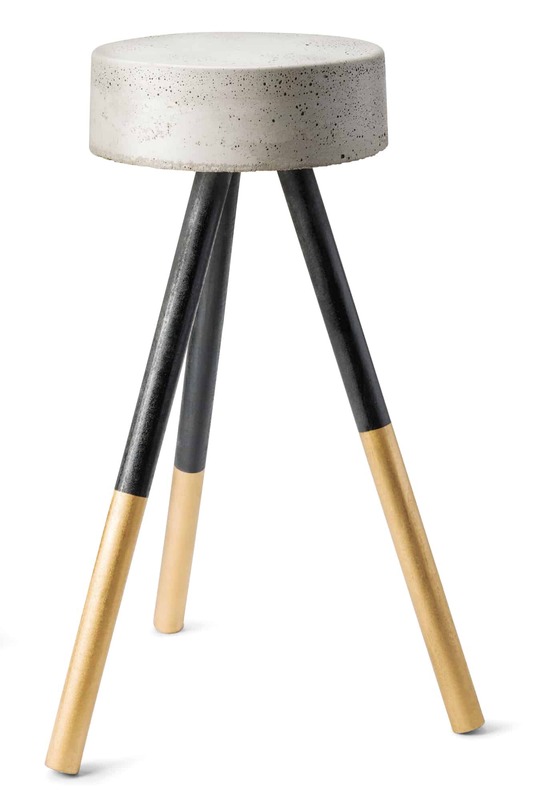 Concrete stool by Allie Croza. Holy batman, this maker can do AMAZING things with concrete! 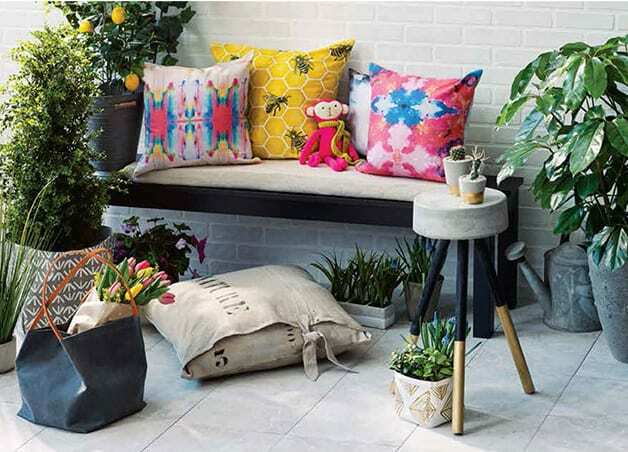 From planters to decorative pillows (RIGHT?) and art, her stuff is blowing our minds right now. You gotta see it to believe it. 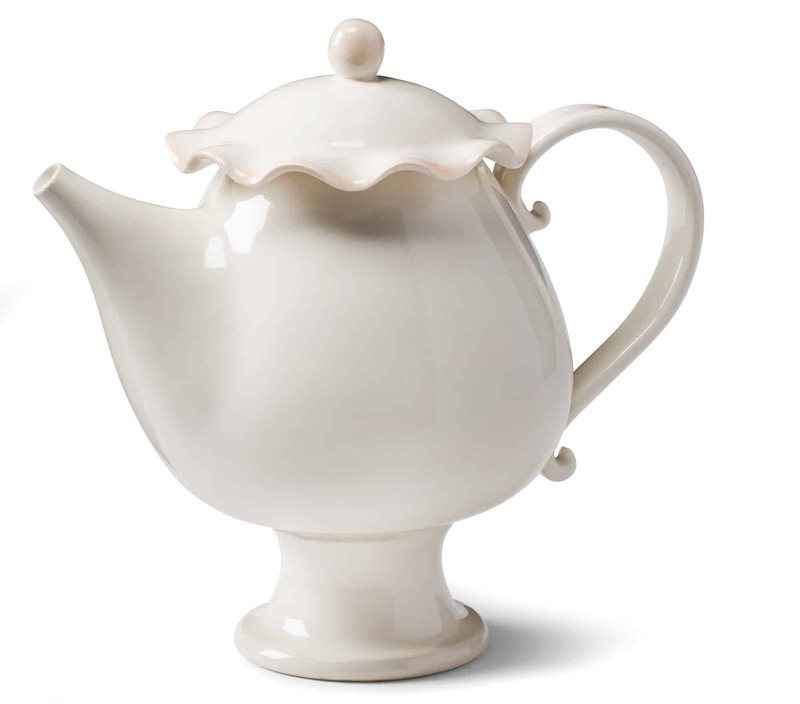 Porcelain teapot by Stéphanie Goyer-Morin. Our new life goal is to accumulate as many of Stéphanie’s handmade ceramic gems as we can and throw an EPIC tea party. You’re totally invited BTW. Winners will be announced by 4pm on March 21st, but if you don’t want to leave it up to chance, you can always purchase tix HERE!